Make practising addition facts more fun with this spin off of the traditional “Go Fish” game. As you work with your child on his maths facts, it will be helpful to find tricks and strategies to help him build his confidence and skill. One way to do this is to have him learn the combinations of numbers that add up to ten. 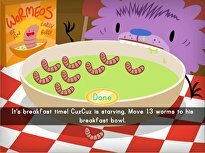 This game is an exciting way to practise that strategy. And he'll be building skills that he'll use for years to come. In order to play this game, you will first need to prepare your number cards. 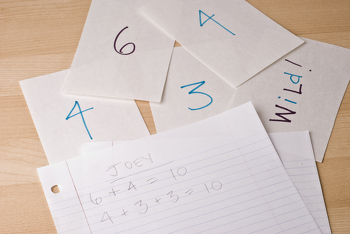 Using your marker or crayon and index cards, you will need to make a deck of number cards. You will need four cards each of the numbers 0-10 and four “WILD” cards, for a total of 48 cards. 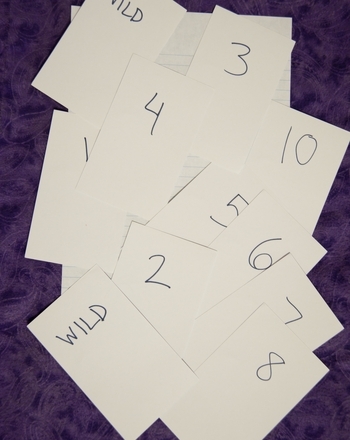 Simply write the numbers or the word “WILD” on each card making sure that the numbers cannot be seen on the other side. The object of the game is to get as many pairs of cards as you can that total 10. The winner of the game is the player with the most pairs of cards that equal 10. Each player is dealt five cards. The remaining cards are placed face down in a deck in the centre of the table or play area. If you have any pairs that total 10 in your first hand, put them down in front of you and replace those cards with cards from the deck. 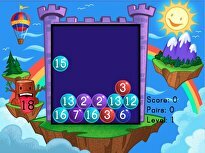 As you find combinations of numbers that equal 10, each player will use a pencil to write that addition problem on his or her own lined sheet of paper. Place all of your combinations of ten in one pile after you have written that combination on your paper. If you get a card that makes 10, put the pair of cards down. Then take one card from the deck. Your turn is over. If you do not get a card that makes 10 because the other player did not have the card you asked for, take a card from the deck. Then your turn is over. If the card you take from the deck makes 10 with a card in your hand, put the pair down and take another card. If there are no cards left in your hand but still cards in the deck, take two cards. The game is over when there are no more cards left unpaired. Whoever has the most pairs of tens at the end of the game wins! 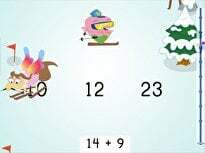 This is a great maths game that the whole family can play! 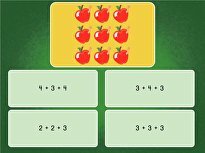 Become adept at apple addition by using tens frames! Go over adding two-digit numbers to one-digit numbers with this helpful worksheet. Represent ones and tens with crayons in this fun worksheet. Represent tens and ones with crayons in this fun worksheet. Use the hundreds chart, tens frames, tens sticks, skip counting, base ten, graphs, and more to practise adding and subtracting two- and three-digit numbers. 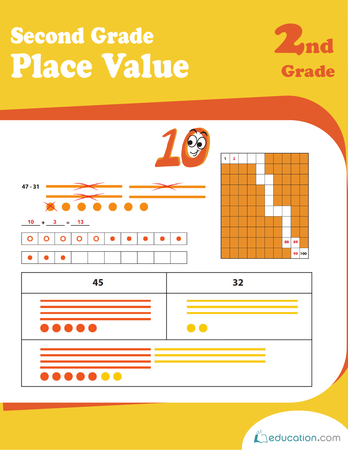 In this worksheets, learn how to add the tens first when using a hundreds chart. 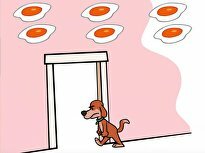 This worksheet guides kids through simple word problems by presenting options for breaking up tens and ones. The hundreds chart is great for adding tens. Help Stephanie figure out how many beads she bought by moving down the chart. Give your kids extra addition practise with this worksheet, which teaches them that it's best to focus on the tens first.